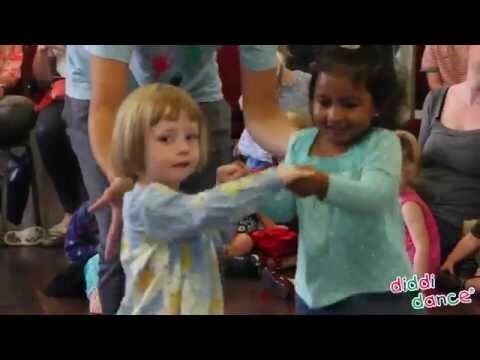 diddi dance – Angel is an Award winning funky pre-school dance classes for girls and boys aged 1.5 – 4 y/o as seen on BBC’s Strictly! As you are probably very aware your toddler rarely want to sit still. At diddi dance we realise and encourage this endless enthusiasm and energy, in an action packed full of fun 45 minute dance class. Using action songs, dancing games, fun exercises, hoops and dance ribbons to our own funky pop songs, your little one not only improves their rhythm and coordination but also social and gross motor skills! We change dance themes every half term exploring styles such as salsa, country and hiphop catering for all tastes. Classes follow a structured plan, yet are taught in a relaxed atmosphere where your diddi one can learn at their own pace as their confidence builds. Parents and carers are encouraged to join in and share the enjoyment with their diddi dancer every week and keep fit too! Found a Kids Activity that you like? Give the Gift of Fun, our Club Hub Gift Voucher is Perfect for Kids and Parents for any Occasion. You can find more Kids Activities, Kids Clubs, Kids Events and Holiday Activities on our Easy to use FREE App Now.